Going to war is not just about killing the enemy, and watching out for bullets sent your way. 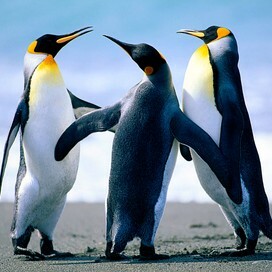 War is also about having a safe hideout. Surviving in a trench for even 6 weeks is very hard and tiring. Battalions took turns serving in the front line. They usually spent 70 days at a time in the trenches. 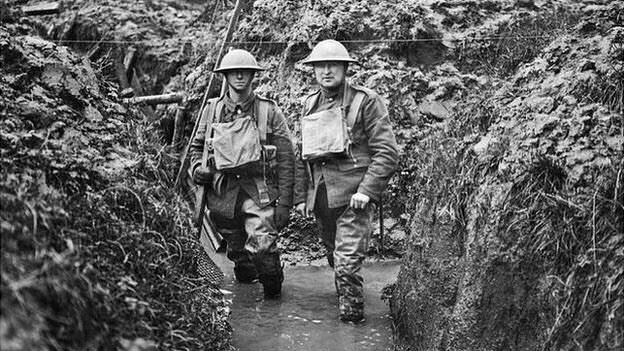 Trench foot was a large problem at the beginning of the war. Because of this, soldiers were required to change their socks at least twice a day. The food soldiers recieved gradually diminished in size and quality. 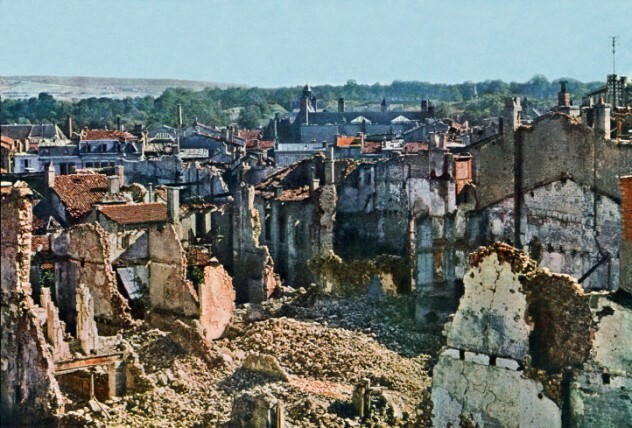 By the end, British troops were living on soups bade from local plants. An infection due to cold and damp conditions. 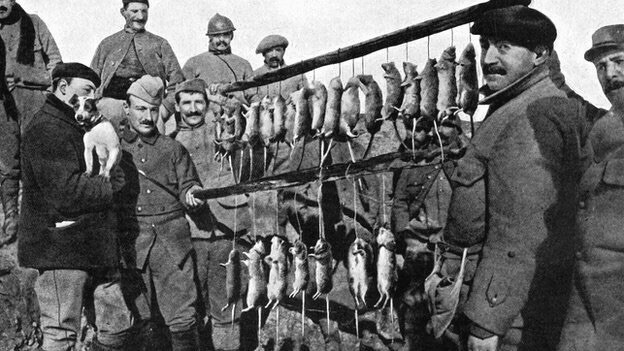 Rats were a major problems, as they spread infections and feed on dead soldiers bodies, producing as much as 900 offspring a year. 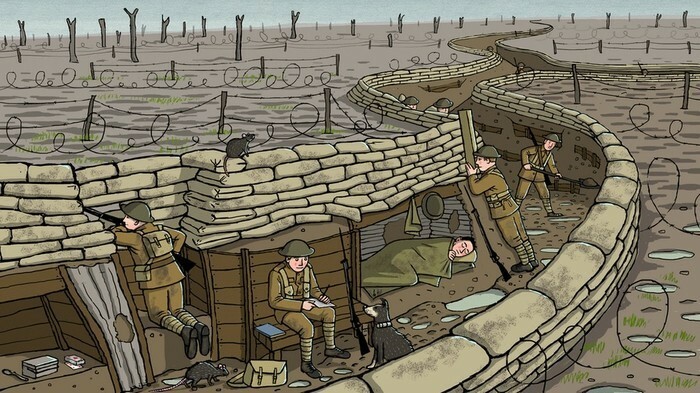 They often had to drain the trenches after rain fall so the trenches wouldn't collapse. Many soldiers didn't come home and the few that did, either lost a limb or had to get surgery. The problems didn't just end there. Some soldiers that came back from war, came to find that their homes & families had been destroyed due to the bombing. Many families didn't have a place to live and no support from the government. The British and Canadian commanders didn't feel that they needed to develop any new technology for the war. This is what led to them losing many men against Germany in the battles. Germany had new weaponry and technology put into place for the war, they invested in machine guns and scientific research on how to mass murder. Do you have what it takes to be a soldier?